One of my favorite subjects to paint is the sea turtle, also known in Hawaiian as the honu. This little sea turtle is headed to the beach for some sunbathing and a nap. Just like me! 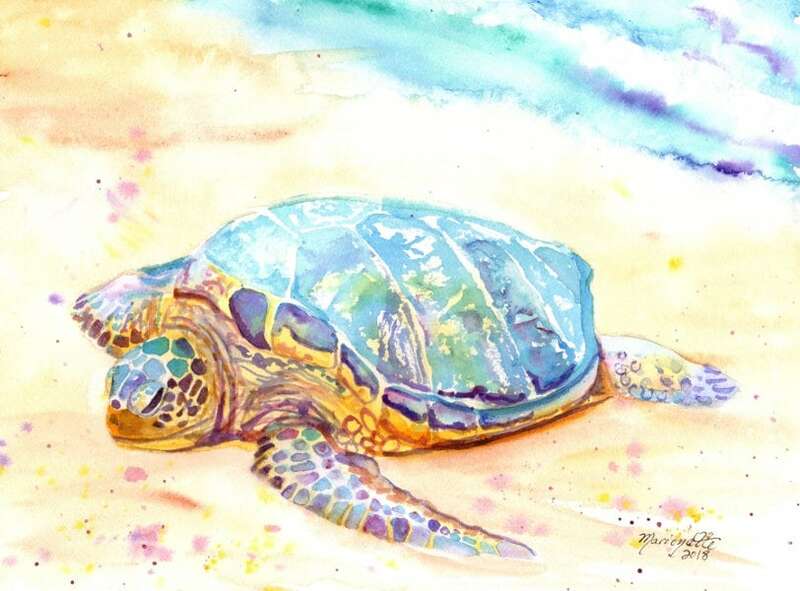 "Sunbathing Turtle 2" is an original watercolor painting measuring approximately 9"x12" and comes with a signed "Certificate of Authenticity" and packed in a clear sleeve with a backing board (unframed). Colors may vary slightly from monitor to monitor. Stunning use of watercolors. Beautiful treatment of a popular, well-loved subject. I hope this artist keeps on painting. Her work is wonderful.